MOVE IN READY - EASY AND FAST ANSWER. Location, location, location. 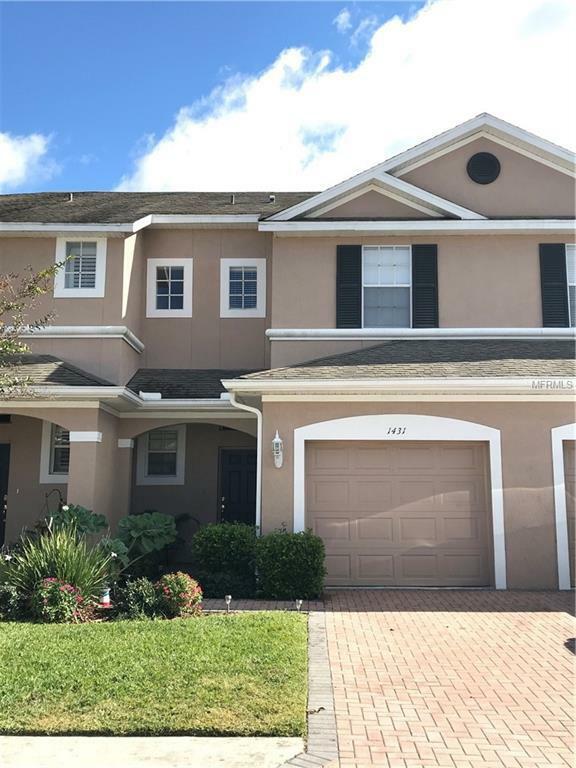 Beautiful 3 bedrooms, 2.5 baths, 1 car garage in a great gated community with walking distance from stores like Publix and Walmart IN A GATED COMMUNITY. CLEAN AND NO PETS. As you walk in, the first floor has a large tiled foyer that goes right into your living area with beautiful laminated floors which makes it easier to clean. The open kitchen area features CORIAN COUNTER TOPS and a breakfast bar overlooking the great dining area which backs to the nice covered lanai. The LG appliances are newer and stainless steel and Mrs. Clean lives here. Upper level includes 3 large bedrooms, 2 bathrooms, laundry room which makes it easier for the new owner to do your laundry. Master bedroom has a huge walk-in closet, and the master bathroom has a double sink and a walk-in shower. This is a great floorplan and you must see it for yourself. The home is conveniently located close to I-4 I75, Hwy 60 and easy access to Tampa area and McDill AFB. The community is gated and includes the maintenance and a GORGEOUS POOL. Call today before it is gone. Listing provided courtesy of Homexpress Realty, Inc..